The first ever gallantry medal to be awarded to a woman has gone on sale for £60,000 180 years later. 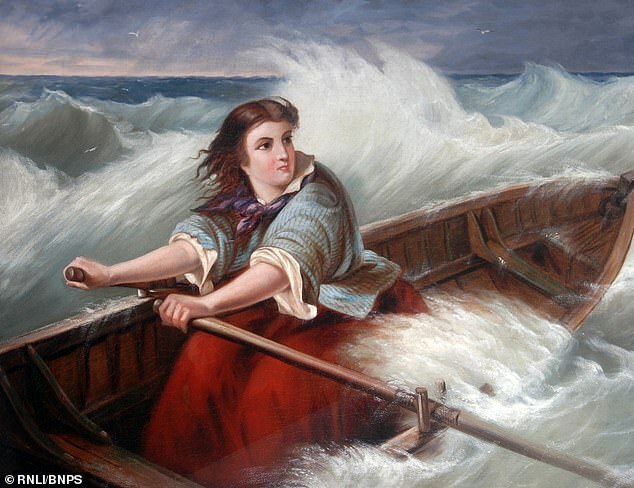 Grace Darling was the first woman and the first civilian to be awarded the Royal Humane Society’s gold medal in 1838 at the age of 23. She was honoured for helping to save nine people shipwrecked near her lighthouse home on the Farne Islands off the Northumberland coast. The eight men and one woman were left clinging to the rocks after the SS Forfarshore paddle steamer ran aground and split in two in September that year. In the absence of any of her brothers, Grace and her father William set out in gale force winds in their rowing boat to rescue the survivors. 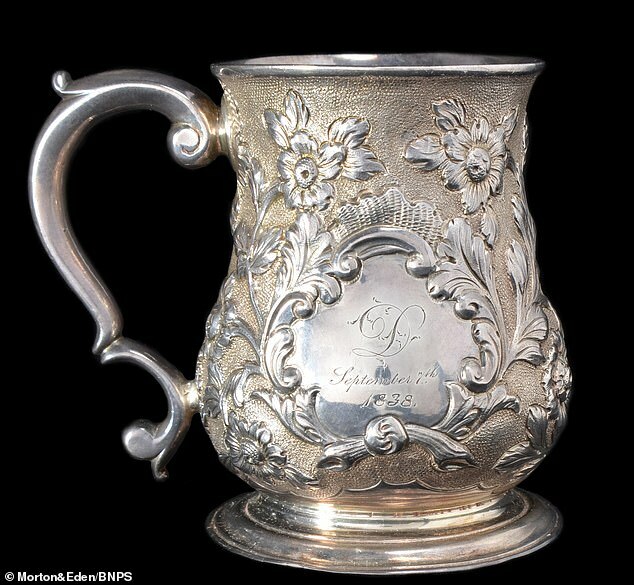 On the 180th anniversary of her heroic act her gold medal, accompanying locket and tankard that were gifted to her at the time, are up for auction. Queen Victoria was so impressed by Grace’s heroism she gave her a £50 reward – the equivalent of £5,000 in today’s currency. She made worldwide news as it was unheard of a woman to show such gallantry and rescue a man. She and her father were also awarded the Royal National Lifeboat Institution (RNLI)’s silver medal. Tragically she died of Tuberculosis at the age of just 26 four years later. The SS Forfarshore had left Hull two days before it sunk to sail to Dundee. The engine failed the day after the crew set off and when gale force winds hit the captain headed for shelter behind the Farne Islands. 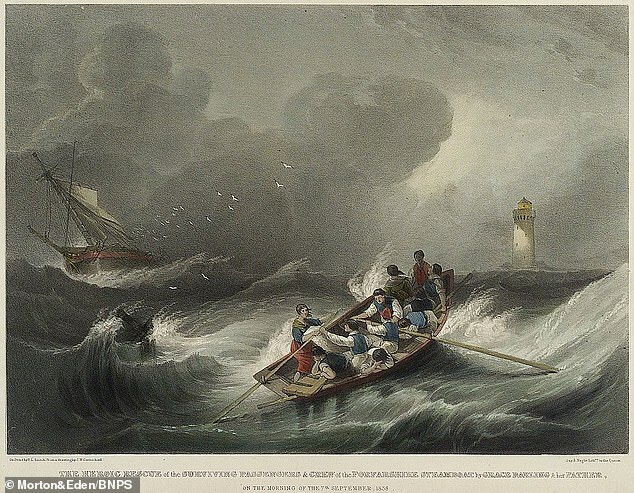 But the ship ran aground on the rocks and split in half, leaving the 52 on board in mortal danger on September 6 1838. At dawn on September 7 Grace spotted people clinging to the rocks 600 yards from the upstairs window of her home at the Longstone Lighthouse. She convinced her father to go to their aid and, with conditions too bad to send out a lifeboat, they rowed to their rescue in a four-man 21ft rowing boat. They had to row for a mile along the sheltered side of the islands to reach the rock safely. By the time they got there four of the passengers had been swept off the rock to the deaths by large waves. While Grace held the boat steady her father climbed onto the rock to rescue the first five people. On the trip back to the lighthouse his daughter consoled a distraught female passenger whose two sons had drowned in the tragedy. 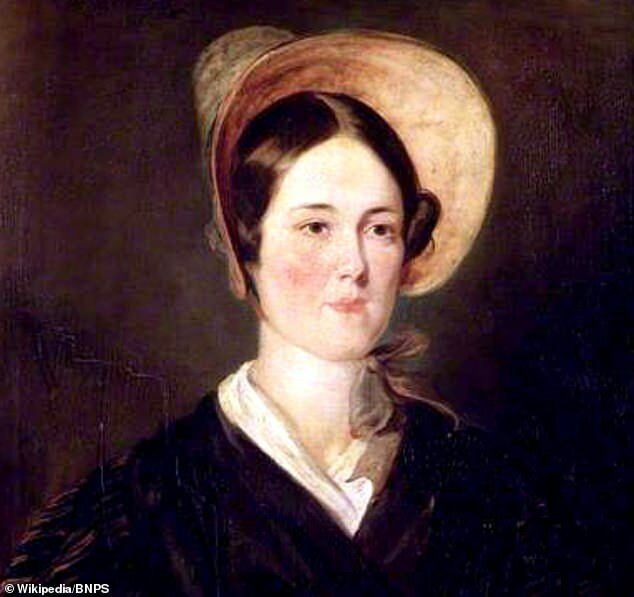 Grace Darling was the daughter of lighthouse keeper William Darling. They lived with her mother and her siblings at Longstone Lighthouse on the Farne Islands off the Northumberland coast. At dawn on September 7 1838 Grace spotted people clinging to the rocks 600 yards away from the lighthouse through an upstairs window. 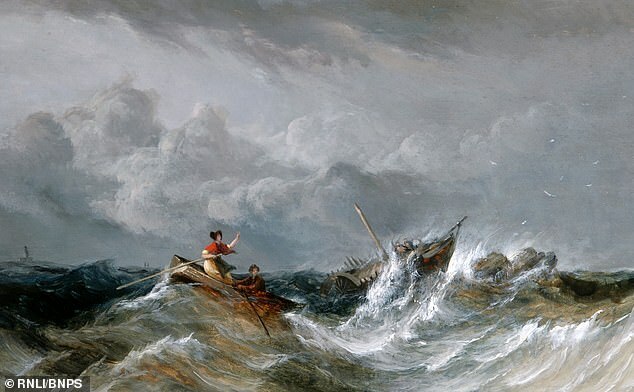 The weather was too dangerous to send out a lifeboat and in the absence of any of her brothers, she convinced her father to rescue them in a rowing boat. They managed to save nine of the 52 people on board the SS Forfarshire paddle steamer that had split in half the day before. She was the first woman and civilian to be given the Royal Humane Society’s gold medal and gifted £50 by the queen. She and her father also received the RNLI’s silver medal for their heroism. Grace made headlines the world over as a woman had never been recognised for saving a man. She was 23 at the time, but died of tuberculosis at 26. William and two male survivors then rowed back to the rock to save the remaining four people. Only 13 of the 52 on board the ship survived, nine of them solely with the help of the Darlings. The golden locket up for auction has strands of the hair of some of the men she helped saved, which was a token of great esteem in Victorian Britain. The lots are being sold by a private collector at London auctioneers Morton & Eden. David Kirk, of Morton & Eden, said: ‘This really is a historic medal and it is the first British gallantry medal awarded to a lady. ‘It as also the first Royal Humane Society gold medal to a civilian as well. Before 1838 people like the Russian Emperor and the Prince Regent were given them. ‘It is arguably the most important gallantry medal awarded to a woman of all time. ‘Of course we know about the suffragettes but Grace Darling was the first and must have been a real inspiration for women. Today there is a museum in her honour at Bamburgh, Northumberland, and an all-weather RNLI lifeboat at nearby Seahouses bears the name Grace Darling. Her medal is being sold on Thursday.